Why attend pharmacy technician school? 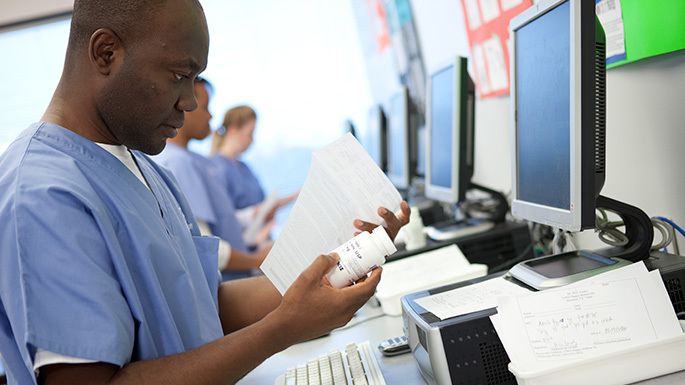 While not a requirement for working as a pharmacy technician, employers tend to favor applicants who have completed a formal and standardized education program. Program length ranges from 6 months to 2 years and is comprised of classroom work and hands on learning. Education focuses on learning brand and generic drug names, common uses of medications, medical and pharmaceutical terminology, preparation techniques, calculations and an introduction to pharmacy law. There are multiple technician programs in Indiana that provide high quality training. Check out these programs licensed by the Indiana State Board of Pharmacy. In addition to technician school, there is the option to become certified through passing the Pharmacy Technician Certification Test administered by the PTCB. If you have a specific job in mind, be sure to look at the job posting for listed requirements. Some companies may not require certification at hiring, but will require after a certain amount of time on the job. Other companies may be willing to pay for the cost of the examination.